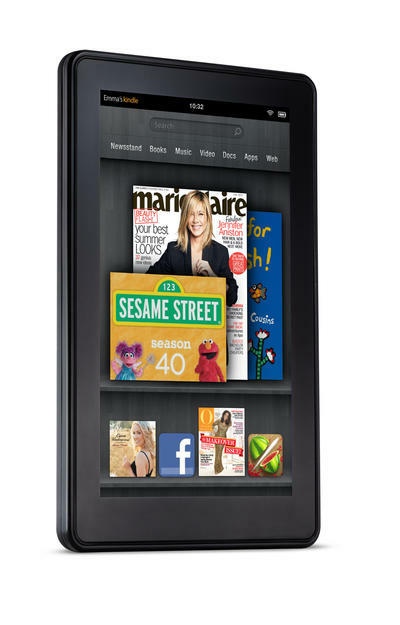 Will the Kindle Fire be a Hit in the UK? Amazon may have pulled the wool over many users eyes with the launch of the new cheaper Kindle & Kindle Touch, but does the new super full colour Fire really deliver enough to make it worthwhile? Let me touch (pardon the pun) on the monochrome e-ink Kindles first. They will no doubt be wonderful devices and give the paper-like experience of the old version, but what amazes me is that people purely see new version coupled with a lower price as a good thing. What punters seem to be forgetting is that if you already own a Kindle this is not an upgrade. Amazon manage to make it cheaper because it is throwing adverts at you and at the same time most likely using cheaper components. Anyway, rant over … the Kindle Fire. After months of speculation, the new full colour Android touting tablet is here, well almost. On November 15, 2011 we will be able to get our hands on a dual-core 7-inch device for reading books & magazines, all easily purchased from Amazon. On top of this we have movies, TV shows, games, apps, utilities and web browsing. All-in-all a wonderful sounding device. The price for the hardware seems decent too, at $199 or what is expected to be around £169 in the UK. It even has 8GB of built in storage and Wi-Fi, which is not too shabby. However, this is a heavily skinned device. No native Google Android OS to be seen, instead a heavily influenced UI that tries to keep you in Amazon’s world. We shouldn’t grumble, as the likes of the iPad does this too, keeping you locked into purchasing from Apple, so why shouldn’t another company do the same. Apart from crippling the OS to a certain degree, I also worry about the Kindle heritage. It’s magical power was, and still is, that it offers a superb reading device. With paper like appearance along with awesome viewing angles and battery life. My concern is that the new all singing, all dancing Fire, may be a step too far. You will have to charge the device, most likely every day. On top of that, I can hear the crowd already, complaint that they cannot read their book or magazine, outside on a sunny day. From a UK perspective, we are a grouchy lot (well certainly the people I know). When it comes to buying a bargain paperback ‘real’ book for a couple of quid, we feel like we have a bargain. Buying a physical product still counts for a lot here. When you look at the cost of Kindle books, they are often not as cheap as off-the-shelf prices. This leads to many of us (not just in the UK) seeing the price over the convenience factor. If Amazon can overcome content prices in both the UK and worldwide, with bundle and/or subscriptions deals, then they may have a winner on their hands. Without lowering content prices, the value in the Kindle Fire may only be realised when somebody puts a stock version of Google Android on it.